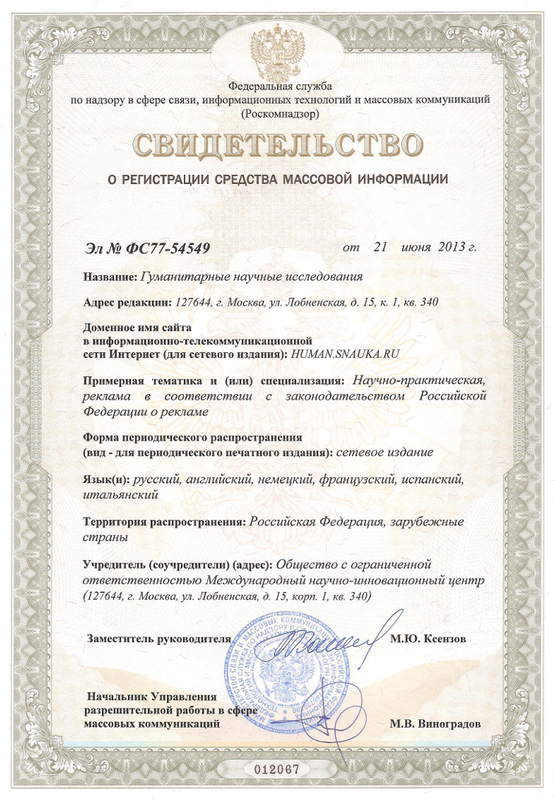 Electronic scientific & practical journal «Humanities scientific researches» is registered as mass media in Federal Service for Supervision in the Sphere of Telecom, Information Technologies and Mass Communications (ROSKOMNADZOR). ISSN 2225-3157 is assigned to online e-journal. Journal is indexed in eLIBRARY.RU (Scientific Electronic Library). Journal is published since 2011. 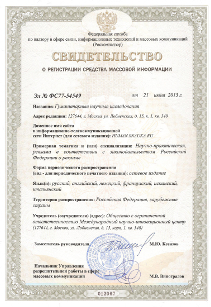 Publisher – International Centre of Science and Innovations Ltd.
Publishing in e-journal costs 300 rubles.